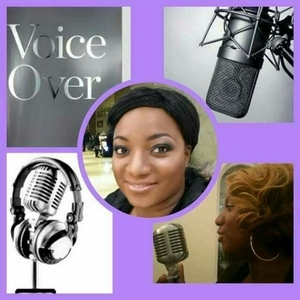 I am a Voicepreneur and I love to talk all about the voice: I give big sister advice for budding Voiceover Artists & for those who just simply want to learn how to speak more effectively with their voice. You have to be brave with your life so others can be brave with theirs. Accents : UK vs USA accents are they similar or totally different ? What does your tone of voice make people think of you? ACCENT: What does your voice convey ? BOOK REVIEW: I Want To Be a Voiceover but Where do I Start? Do you speak English as a second language? My Top 10 Secrets for Speaking English Think in English Record your voice Believe can do it Sing songs Break up what you were saying Grammar vocab rhythm bass intonation understand all the different parts of what you're saying so you can become more accurate fluent smooth more like a native speaker Speaking English is a dance you need to learn to know when to speak when to stop when to listen when to start Body language is important in IT support what you're saying Practice speaking in the look at your mouth what you say how you're saying at the pace Practice and keep practicing you will get there Read one English newspaper daily and from one article learn one new word One more thing.. Stay Focused. More Tips See my web www.leighannesvoice.com and my instagram page for more tips and hints Leighannesvoice_ to help improve your spoken English. I love learning, listening to books and reading books. If you want to grow in your voiceover business you need to read this book. Sneak Peak : New Audiobook I want to be a Voiceover but where do I start? Grt your vitamins, rest your voice and take Jamaican ginger tea. Voice tips, work on your goals,protect your voice. Voiceover Accents British English American English Australian English English anywhere and everywhere. TUESDAY TIP: OTHER WAYS TO SAY YES. 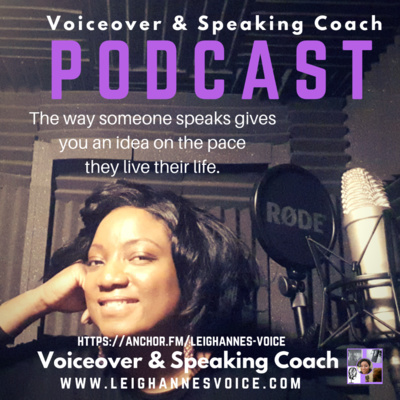 TUESDAY TIP: OTHER WAYS TO SAY YES Accent Reduction trick Voice Articulation Email: leighanne@leighannesvoice.com To book your free 15 minute session. Voiceover: What to wear in the studio. Voiceover tip: what is it all about? Do you want to improve how you speak English ? Audiobook sample I to be a Voiceover but where do I start? Great music to work to.